So with all things there is learning. 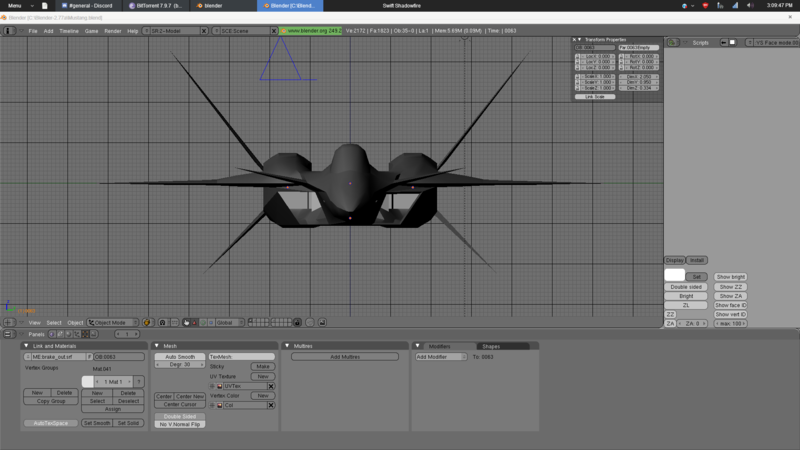 What would a plane from an alien planet look like? Especially one that studies aircraft that stumble through the portal between Earth and Silentia (how else would there be contact ). The S-53A itself wasn't..how shall I say, radical. Too normal, at least in this case. 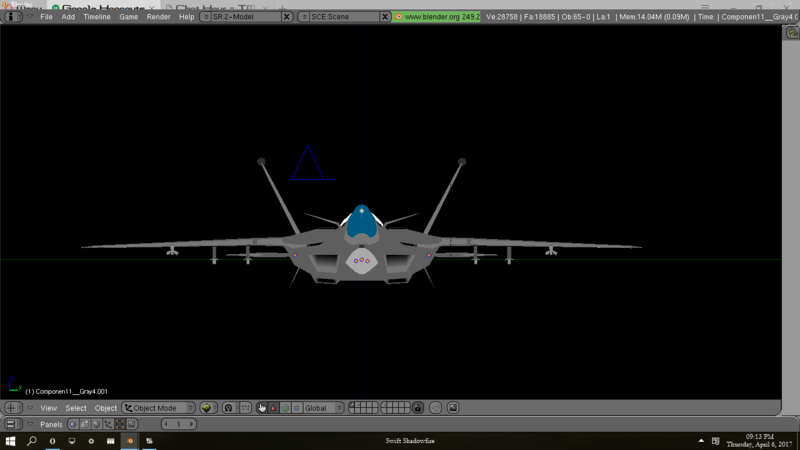 Sporting a large one piece canopy long enough to fit two crew without crunching them, a brand new composite aero-elastic wing, a centerline internal weapons bay, and a vast array of sensors dedicated to air to ground combat. However, don't be fooled. 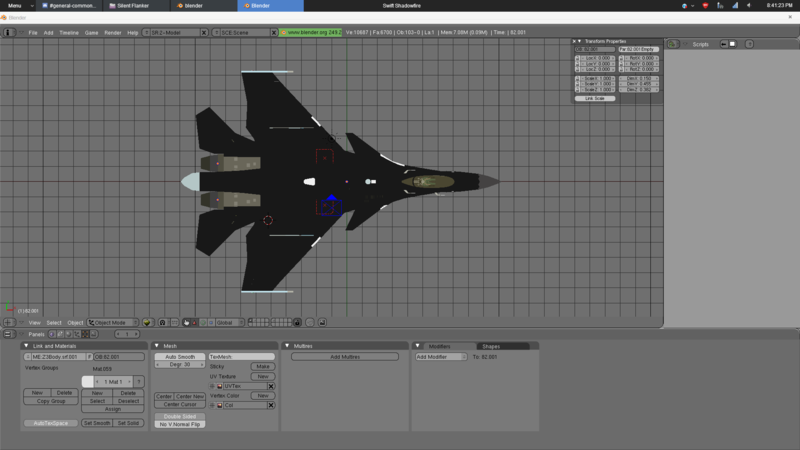 This aircraft may be designed to lug bombs and also may suffer from a slower cruise and top speed, but this plane can turn as tight as needed in order to keep up with the most agile of fighters. 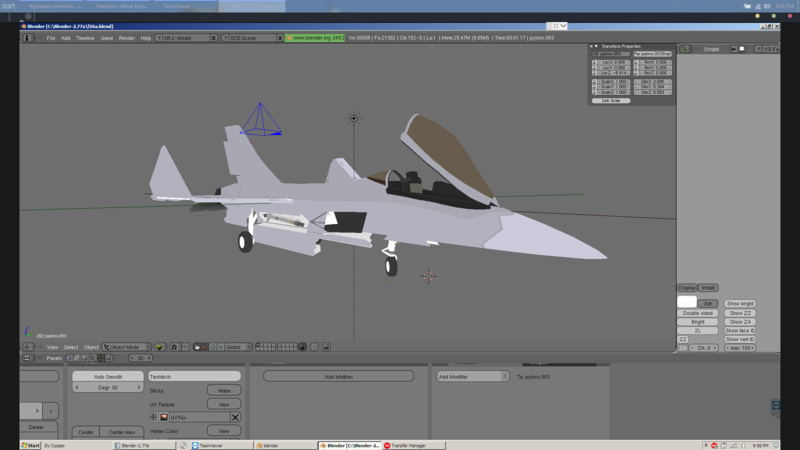 Of course the single seater will also be used, but that will wait as the two seater can swap parts to the single seat aircraft to help with upgrading the model. 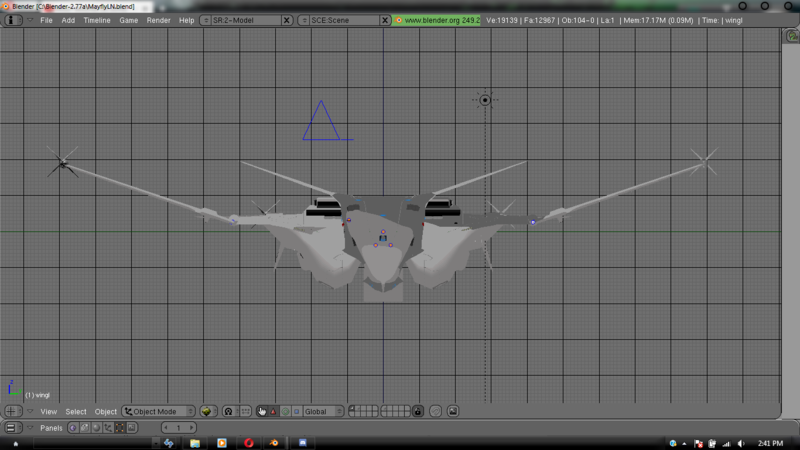 Updated the intakes, main gear bays, and the body in general. 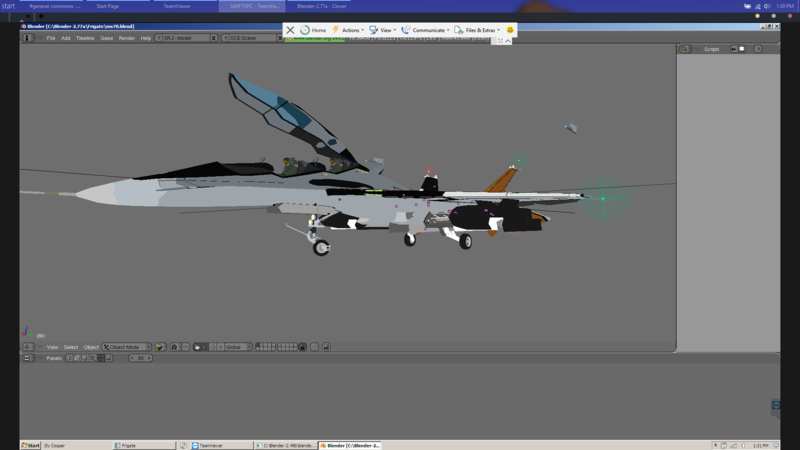 Uses a few assets from an F-22 to improve the distinction between S-53A and S-53C/D. Lancer Air Force Base is the first to receive the new F/A-44 Mayfly. 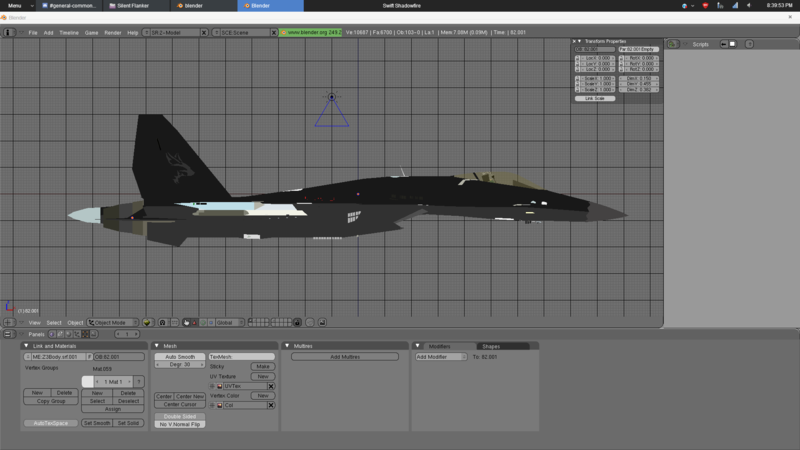 The 525th Tactical Fighter Squadron 'Silent Tigers'' clad their planes in a grey Ferris style camo with several advancements over the prototype. 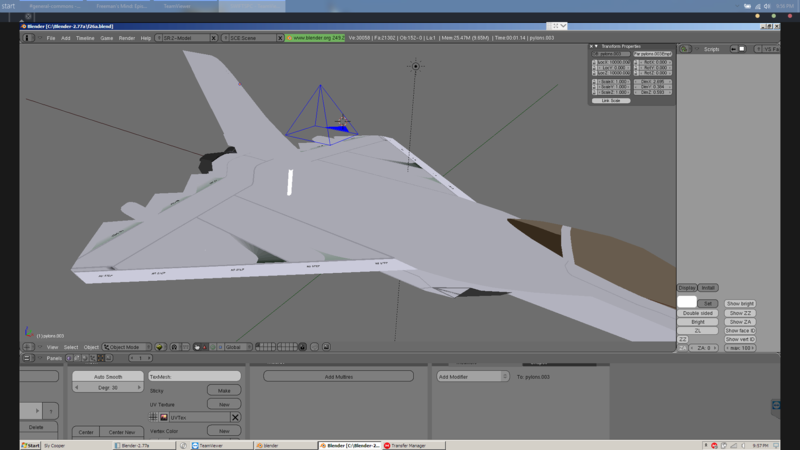 The production model also has a limited armed tanker capability. In a tanker role the aircraft carries four underwing fuel tanks with the centerline carrying a buddy refueling pod. Just couldn't help it. 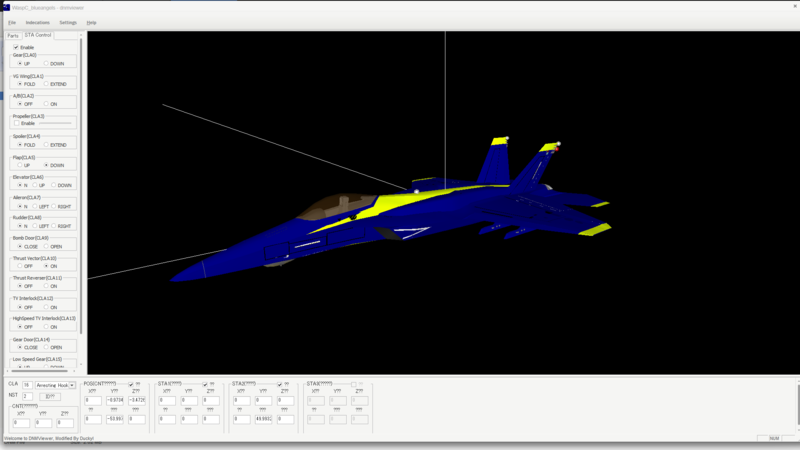 A Blue Angels F-28 repainted by Tigershark! 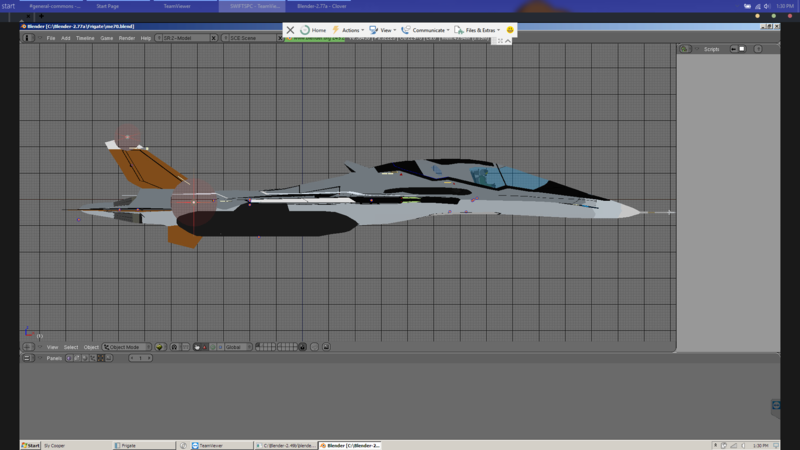 Working on the Mustang II for SAF use, this is part of an overhaul of the entire fleet. 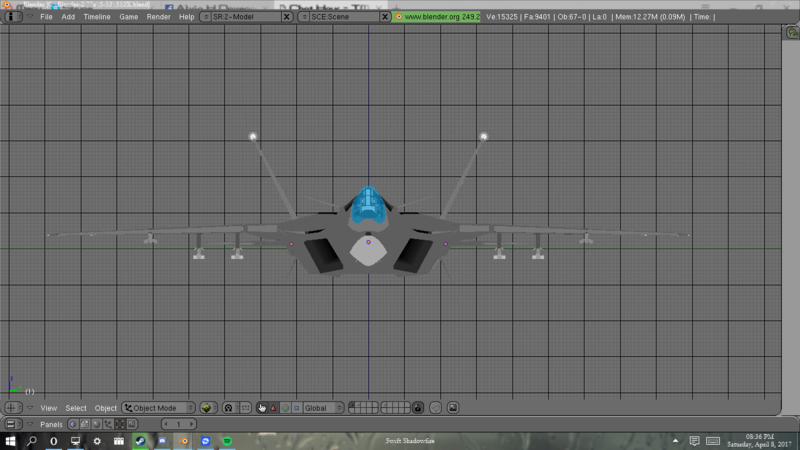 Since this will be one of only 3 aircraft to be used it'll be considered a multirole (big F little A). Hopefully a rework of ideas and such will help old wounds to heal. Here's to the future everyone. Ahoy! 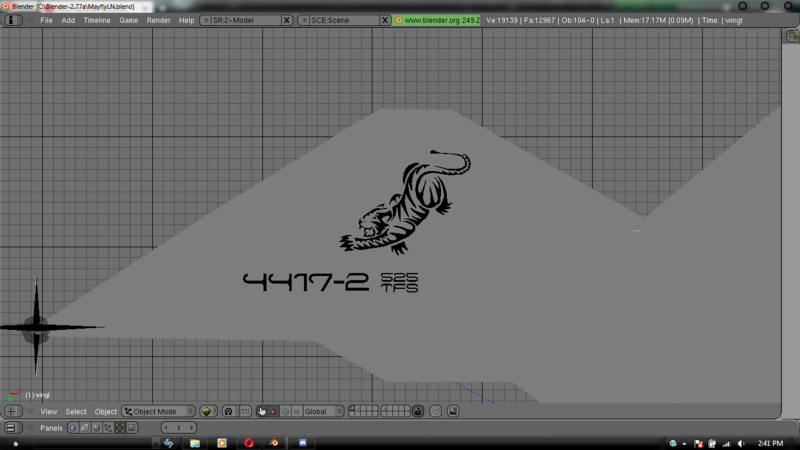 Another Cygnus? Hell yeah it is. With extreme boredom comes the willingness to work harder. 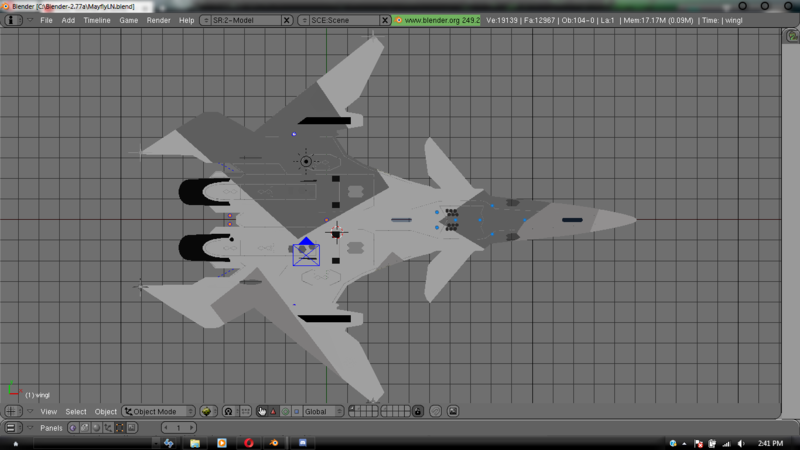 This update to the Su-55 brings it even closer to what it should be as I understand the actual shape of the model more. 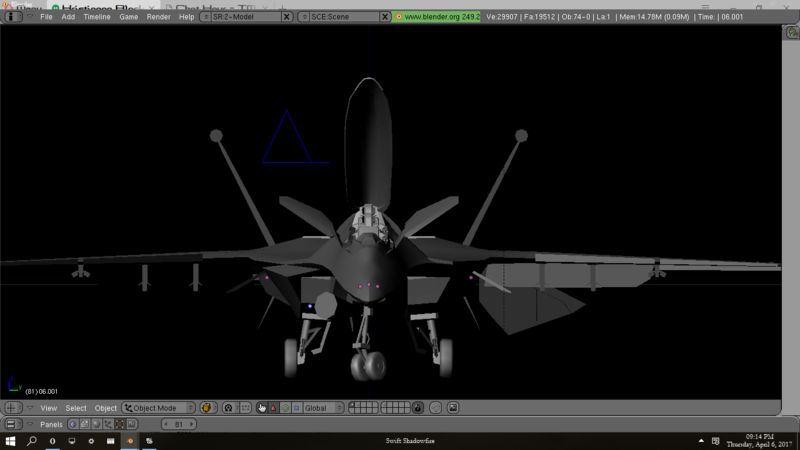 The whole underbelly was reshaped and moved up to slim the plane a bit while the nose gear and the doors were completely reworked (found that the actual gear is that of a PAK-FA with a launchbar). 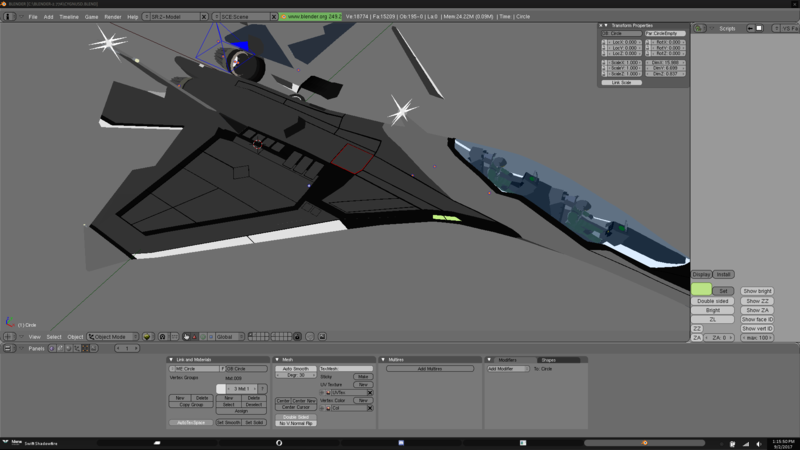 The canopy and cockpit got a facelift, much slimmer and it will sport a lot more detail than the usual half assed cockpits the Frigate/Cygnus family has. 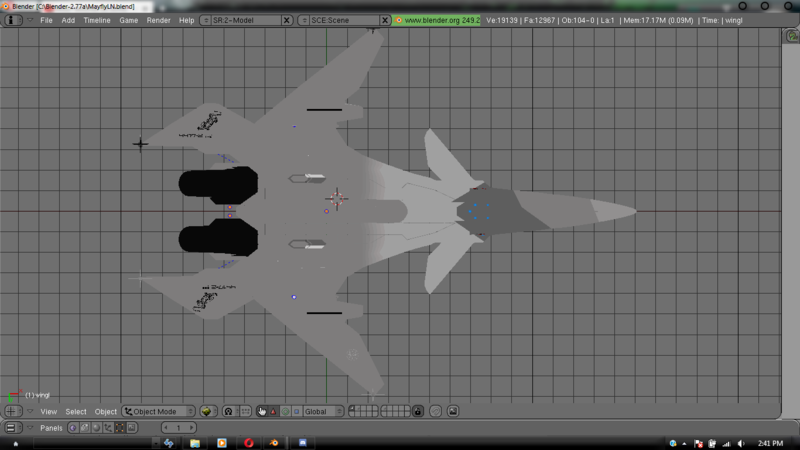 Since this update will wind up being used as a jumping off point for the single seat Su-53/IFX-35C and the side-by-side Su-56/IFX-35E there's even more pressure to make this base model as detailed and correct as possible without needing future upgrades. So far so good on that though since most of the new mesh detail isn't cut into the model, we all know that'd make repainting a royal pain. 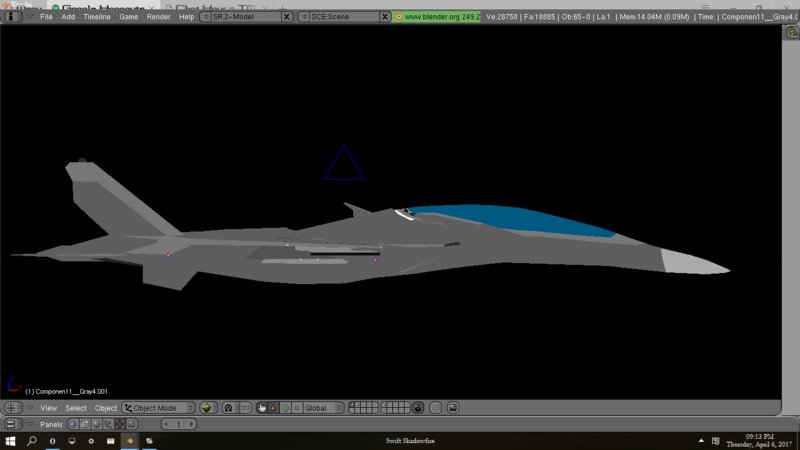 So with the successful remaster of the Su-55 that reworked the model back to the original design it was only logical to add the next stepping stone to the family, the Messerschmidt ME-70 Corvenius. 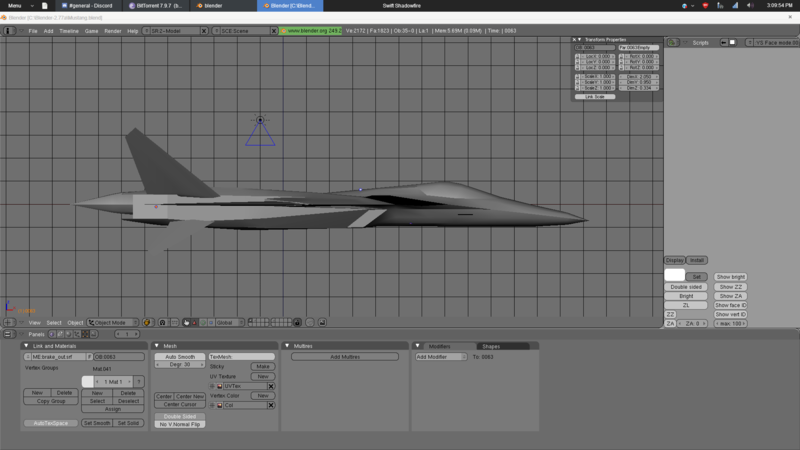 With the Su-55S (IFX-35B) allowing for the older planes to be modeled the ME-70 allows all the new additions to the model to carry over to the IFX-35C/D. 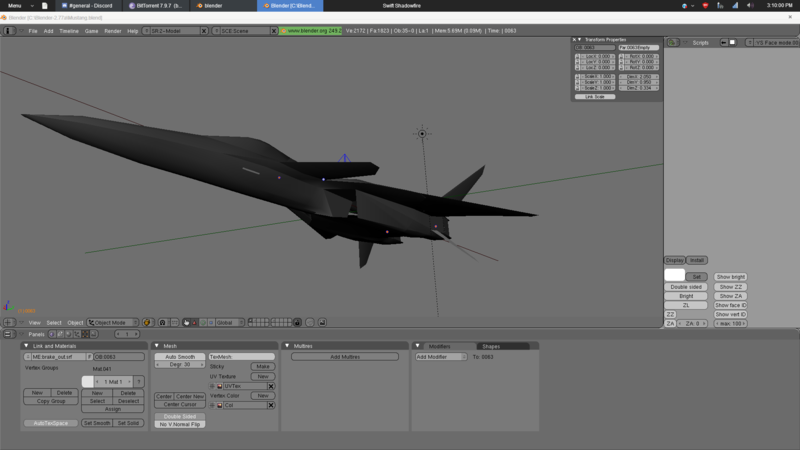 The original concept was designed to test the hybrid scramjet engines and the newer wing design. 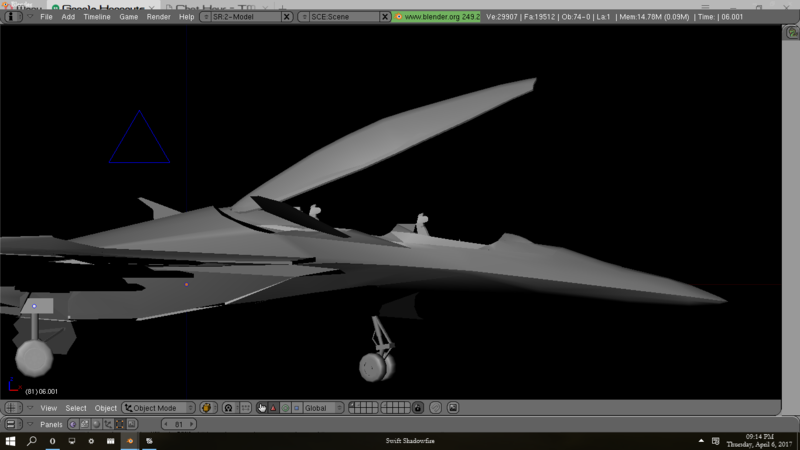 My rendition of the ME-70 remains somewhat faithful to the whole Mach 5+ thing the Frigate family had going for it. 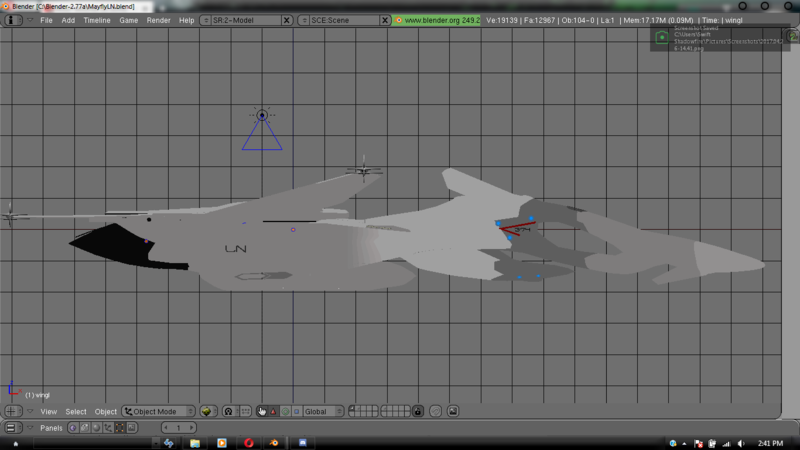 Yes it'll be fast, but to justify that massive increase in speed we have a pair of heavy weapons pods under the wings. 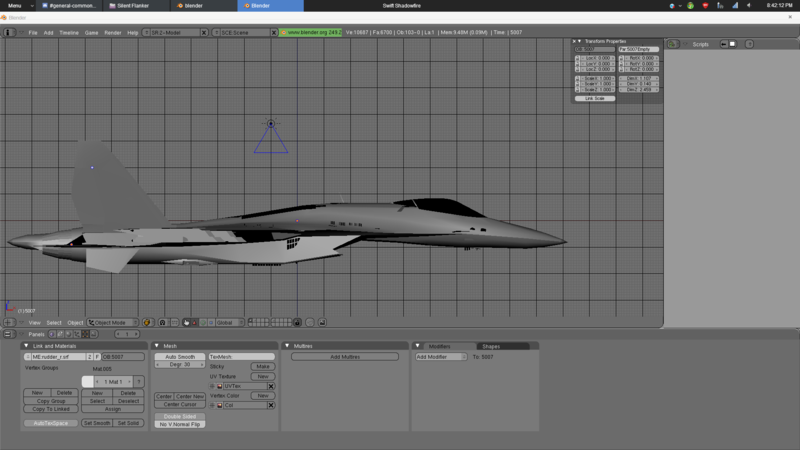 This increase in weight will also translate to large decreases in agility and the lack of external hardpoints for fuel tanks and/or ECM pods. 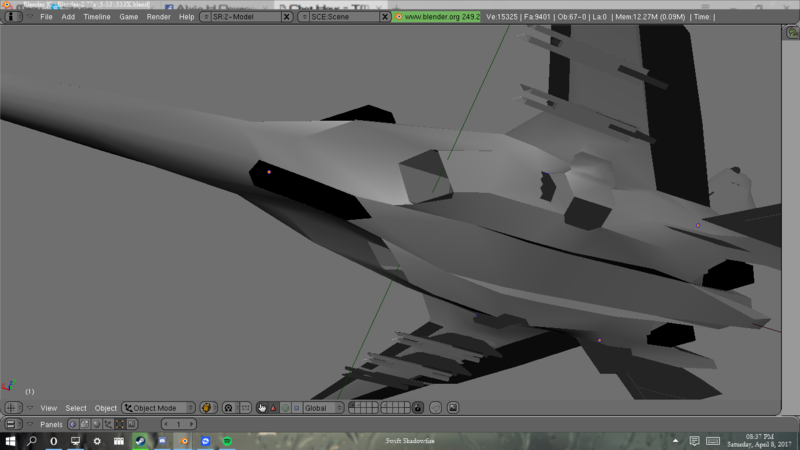 As of now the model is 90% done with some things still needing to be added. 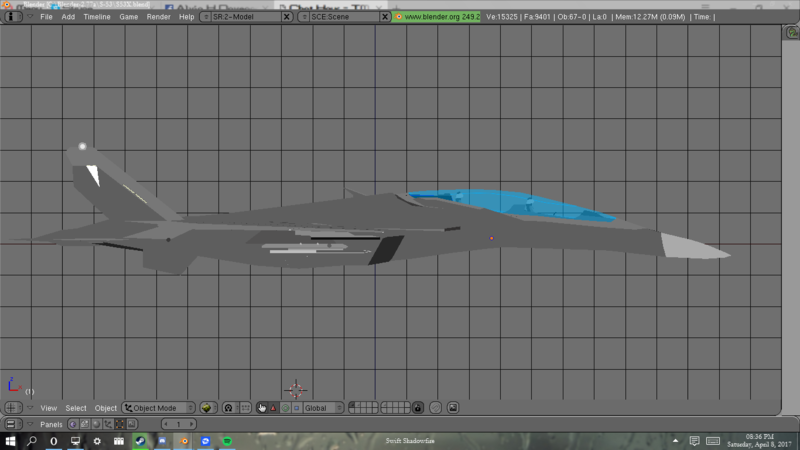 This will be the first Frigate/Cygnus to NOT be classified as a multirole, instead it will adopt the Interceptor role. Old lessons bring new innovations right? The ME-70 also used a new canopy that would eventually lead to the Su-56 Falcon bomber. 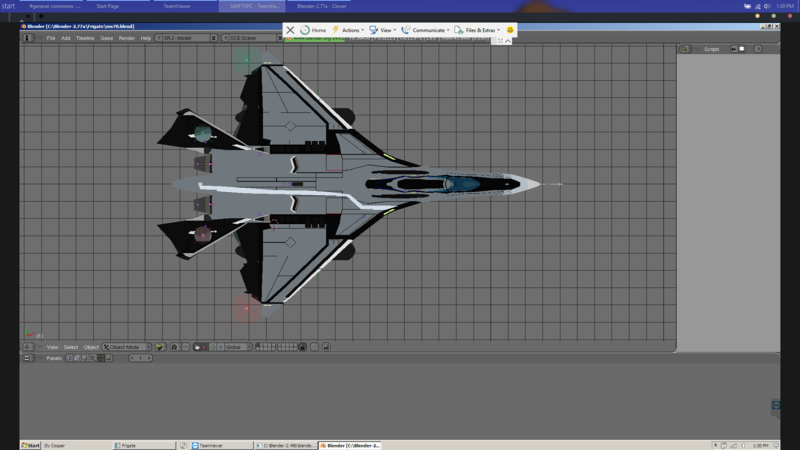 Whether or not this leads to complete remasters of the Su-55/56 is questionable, but possible. 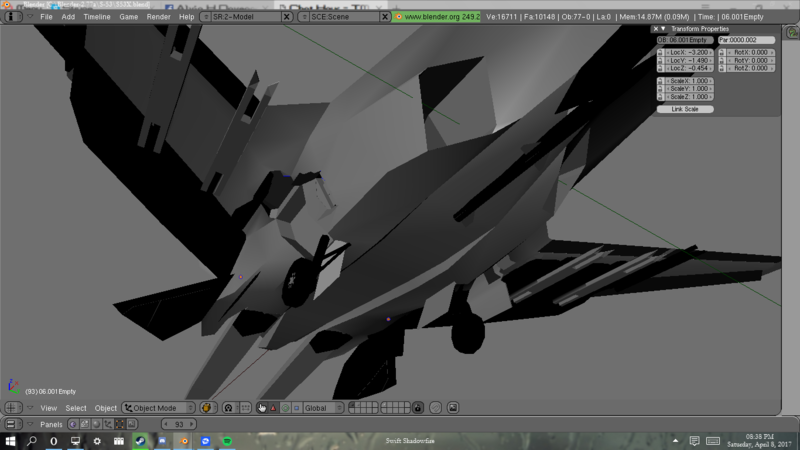 Lots of progress on the model, now named the F/A-26 Anubis. 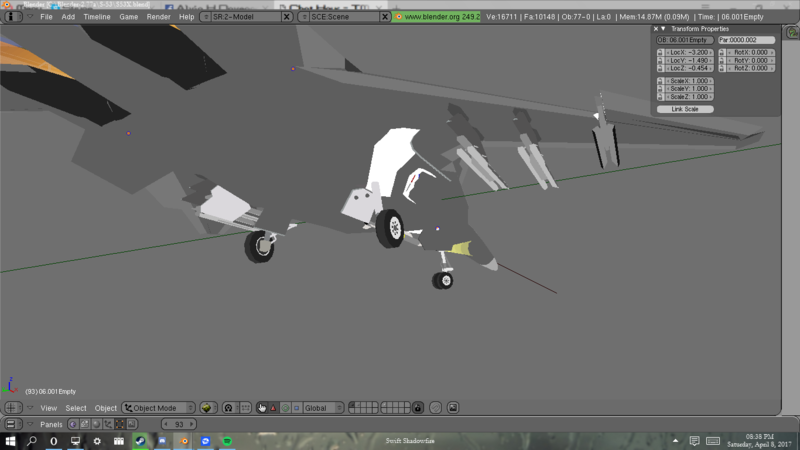 With the goal of making this my most detailed model to date there's been some smaller additions. 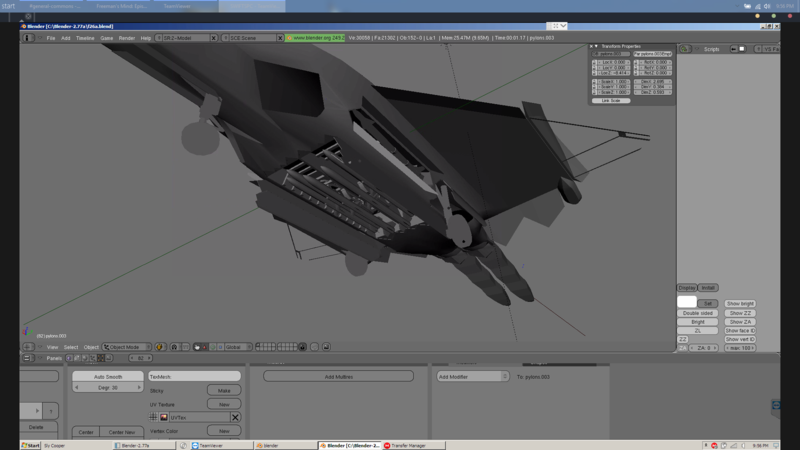 There are hydraulic hoses running through the main weapons bay and later the gear bays. 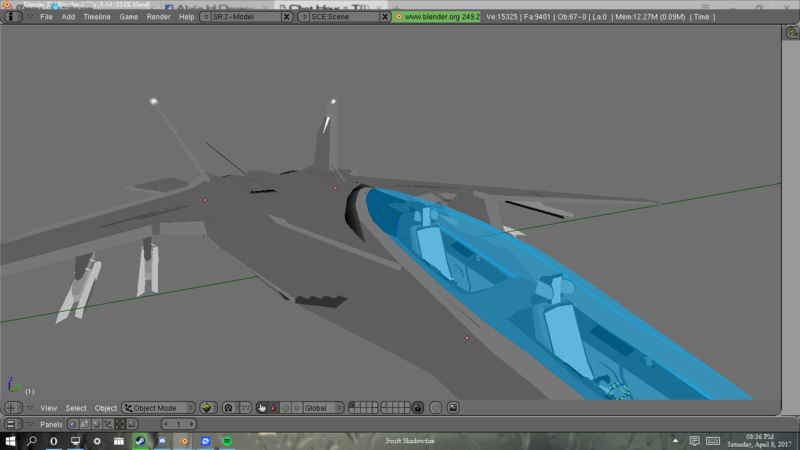 I'm trying to add oil stains and leaks to the wings and control surfaces to give it a more rugged look, not an easy task with a mesh. 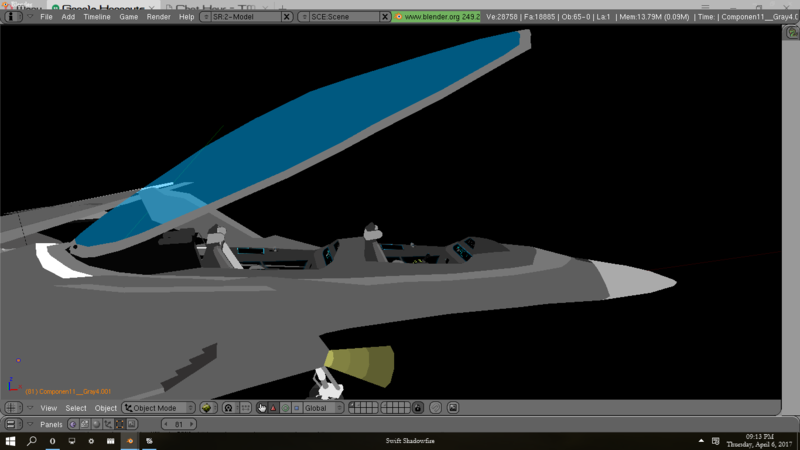 All the doors on the model have their center points further in to allow for hinges, a change of pace since I usually have them animate flush with the body. 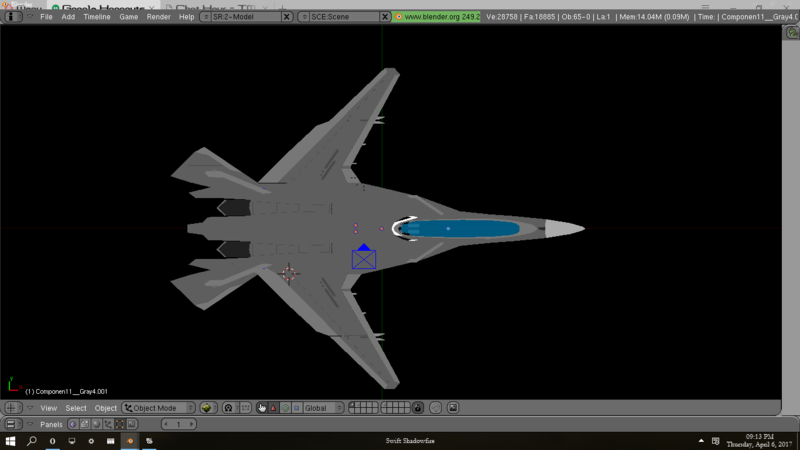 Since this was a contender in the Advanced Tactical Fighter competition it's more than likely that the LAU-142 Sidewinder Launcer and AMRAAM Vertical Eject Launcher used on the F-22 would have been installed on this as well. 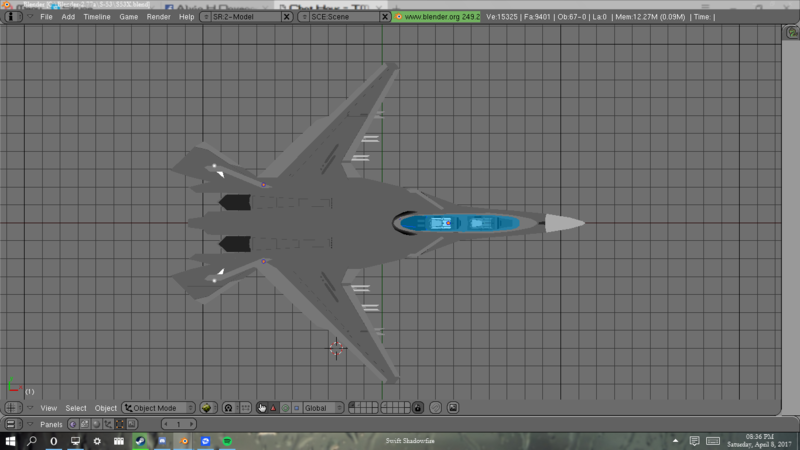 Its armament will largely be similar to the F-22 internally with a greater external load. 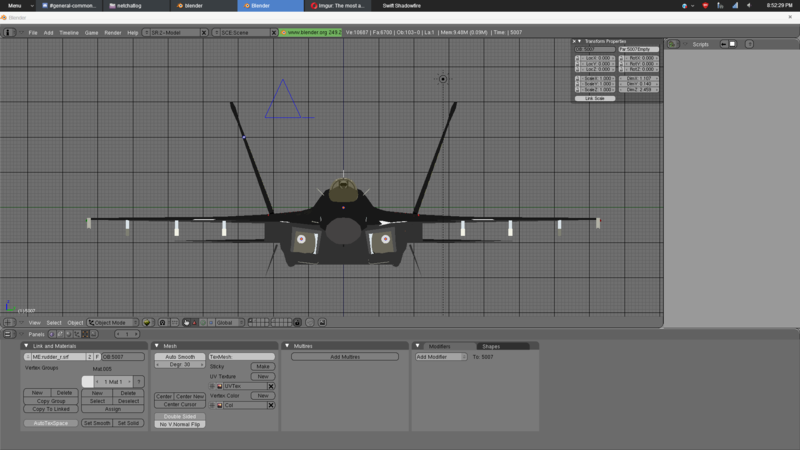 Currently the model reflects a naval variant, so the nose gear will be heavily modified for operation on Ski-Jump and CATOBAR carriers.